Concrete slabs are most commonly used for construction of new homes, sheds, garages as well as mounting large aircon units and pool pumps. Concrete slabs vary depending on the soil your building on and how reactive it may be which is specified in a Class after soil testing is done. 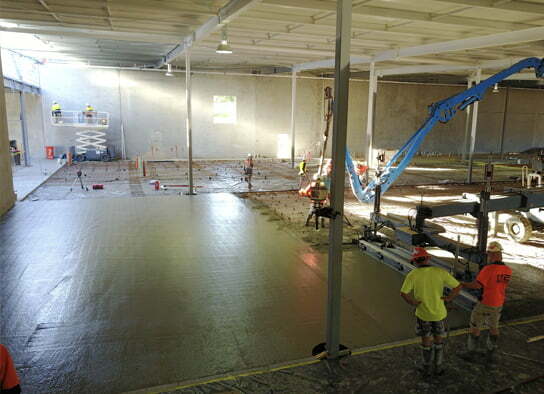 A ground slab is considered the simplest type of slab available. It incorporates digging trenches around the perimeter of external walls and filling with concrete to form a stiffening beam. Moisture and termite protection as well as drainage and electrical conduit is then positioned before steel reinforcement is laid for the slab. 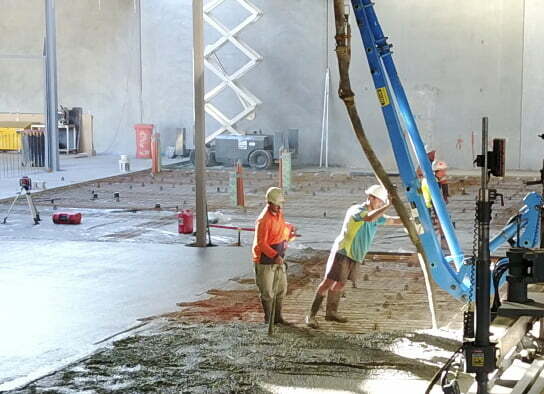 Finally, concrete is then poured creating the slab structure covering the entire floor area. Waffle slabs are a popular option where soil classification allows. It is thought of to be like an egg box set up in that it is not solid. As with ground slabs, trenches are dug around the perimeter of the footprint. Large polystyrene blocks are laid in the footprint area before concrete is poured over the top. Due to the surface area taken up by the polystyrene blocks, significantly less concrete is required in a waffle slab. 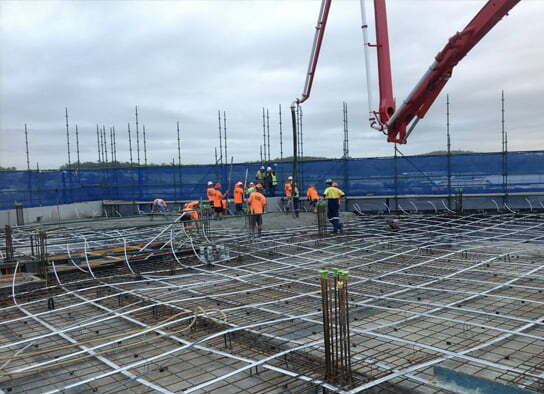 McGinn Concrete are long standing, trusted and reputable concrete contractors in Brisbane, specialising in all aspects of concrete services. Give us a call today to get a quote on your concrete slab requirements.